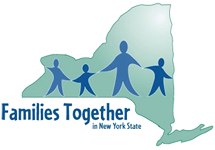 Families Together in New York State gathers ideas and feedback from our statewide network of families, young people, and system partners to help guide our advocacy and strengthen the family voice. The information you provide will help us learn more about how you carry the family voice in your area and how you connect with your community. We will use the information you provide to better support your efforts and facilitate deeper connections among our network. Please provide us as much details as possible. We may reach out to you in the future to learn more about your experiences and partner with you and other families across the state doing similar work. If you have any questions, please contact Brad Hansen, Public Policy Coordinator at bhansen@ftnys.org or 518.432.0333 x 28. * 2. Select the county you live in. Please describe any details you wish to share about the experiences you selected above. * 6. Do you actively participate in any committees, support groups, advisory councils, task forces, lobby days, boards, or workgroups? This is not limited to being related to children's services. Please share the group's name, it's purpose, the role you play, and any other details you think are important. * 7. Are you involved in civic, voluntary, or community groups? This includes cultural groups, faith traditions, social clubs, support groups, advocacy groups, mentor services, community service, recreational programs, chambers of commerce, unions, or political organizations. Please share the group's name(s), what they are about, and any other details you think are important. * 8. Are you a registered voter? Yes, but I don't vote. No, but I would like to register. Tell us more about involvement in politics and government. Do you currently participate in any of these activites ? Tell us more! * 10. Would like to join our e-news lists?